My ultimate icon is, of course, Father Christmas. I love the traditional and, now vintage, green Father Christmas, but there's something to be said for the image created by Coca Cola in 1931, when they commissioned Sundblom to paint Santa Claus for the company's Christmas campaign, establishing Santa as a jolly character with rosy cheeks, a white beard, and twinkling eyes. 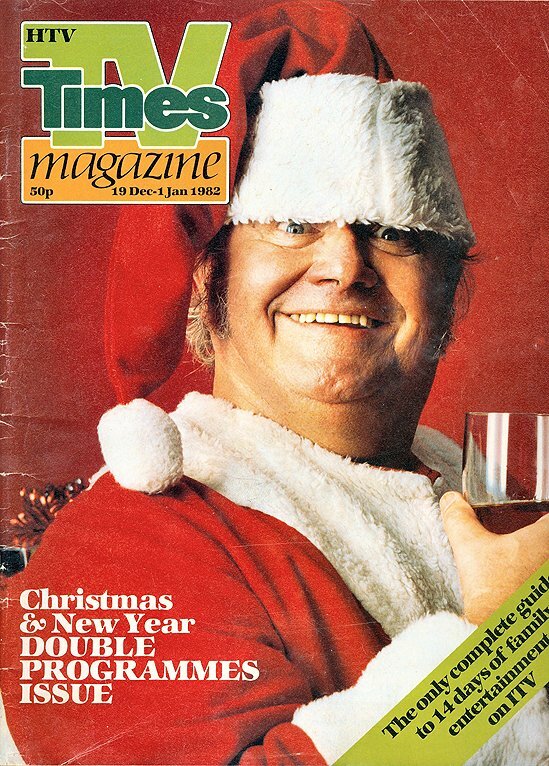 However, there is one image of Santa that will always invoke childhood memories and that is of Harry Secombe on the cover of the TV Times Christmas edition in 1981. My mum was overcome with laughter at this picture, promptly ripping off the cover and pinning it to the wall, where he has been featured every Christmas since. The things he must have seen! Who is your Christmas icon?